At this time, there is alot of active Galaxies, or quasars in the universe. 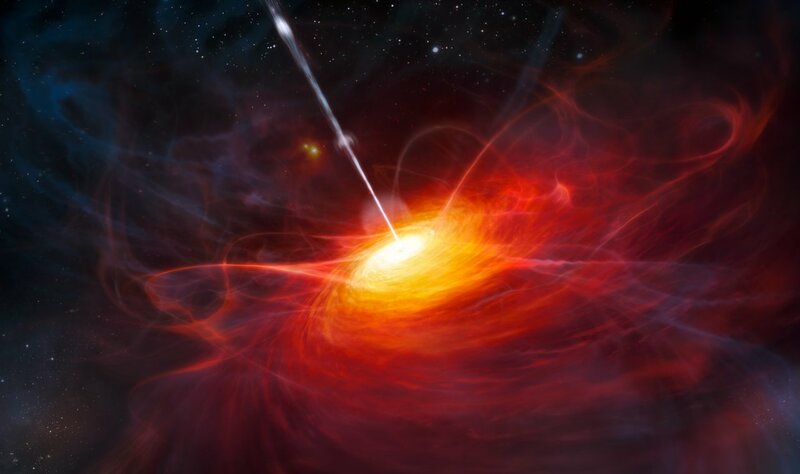 Quasars are the brightest objects in the Universe. Quasars are large galaxies, where the central black hole causes a jet to be spewed out. The name ’quasar’ comes from ’quasi-stellar object’, since they look like stars in a telescope, and not as splotchy extended objects like gas clouds or galaxies. Now they are known to differ remarkably from stars, for example by their spectrum. The large redshifts measured for quasars has confirmed that they could in no way be a part of our own Galaxy.